Heroes: Another Series of Three Heroes Quests! 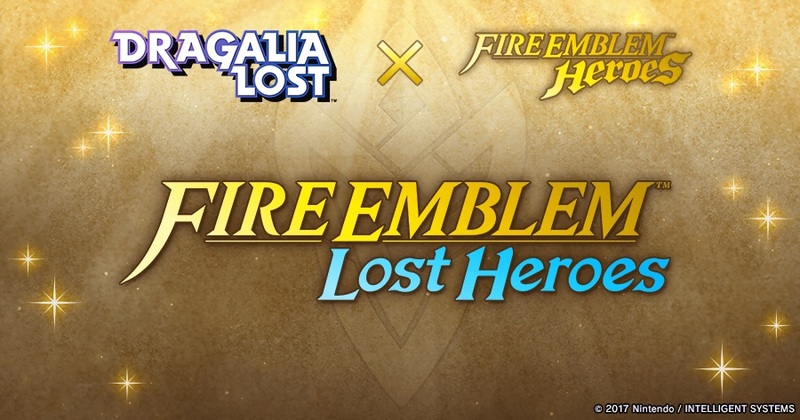 The next series of Three Heroes Quests is now live in Fire Emblem Heroes! 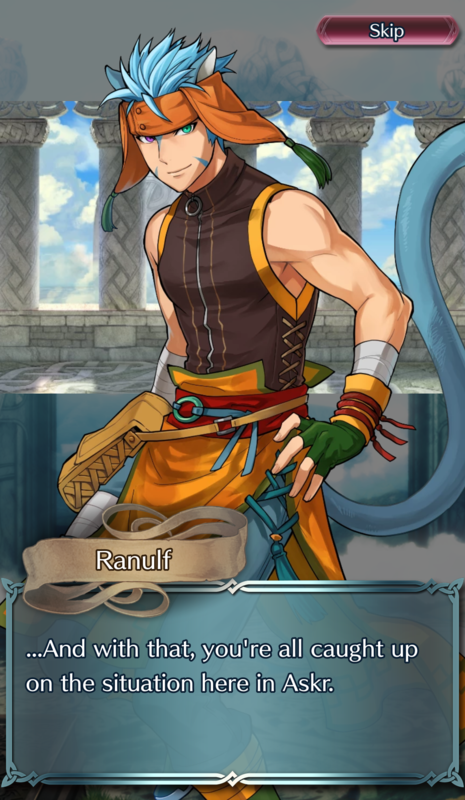 This time around, the quests are focused on Raven, Leon, and Eliwood. Complete a few simple tasks to earn a 3★ version of each hero. Afterward, use the units to defeat enemies and earn up to 6 Orbs! You can check out the full details in-game. These Three Heroes Quests will be available for two weeks, ending on 27 April. Additionally, Heroes has given us a sneak peak at the next Arena Season! As expected, all of the units from the Out of Gallia banner are bonus allies, as is Haar from the latest GHB. You might also get some good use out of one of the older allies, especially if you’ve already trained them up! 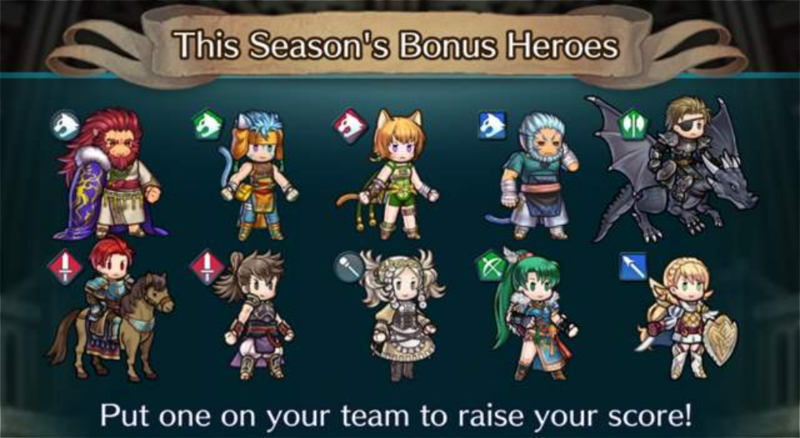 These bonus allies will be available for the next bonus season, which starts this Tuesday. 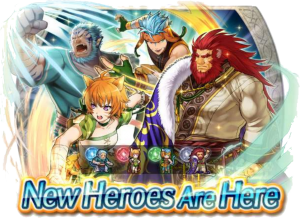 Heroes: Out of Gallia Banner & Forging Bonds! Four new allies are leaping their way into Fire Emblem Heroes today! 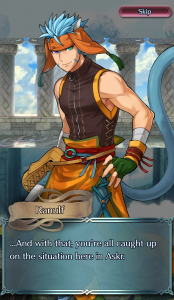 Try your luck on the Out of Gallia banner for a shot at Mordecai, Lethe, Ranulf, and Caineghis. 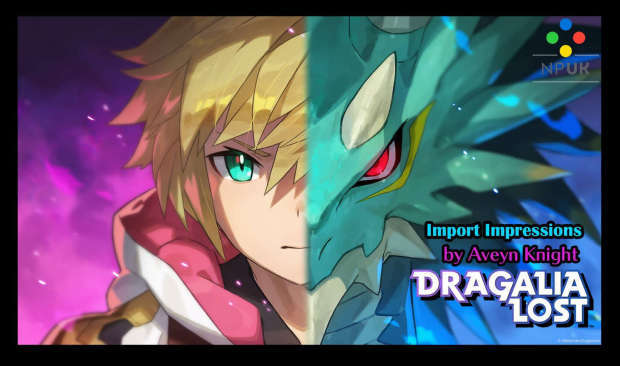 You can check out our earlier article for their preview trailer and a look at their skills. Additionally, you can see these heroes in action in the latest Main Story chapter, “Realm of the Dead“. Follow along with Alfonse and the Order of Heroes as they make their way deeper into Hel’s domain. Complete all three chapters and their associated Lunatic quests to earn 20 Orbs! 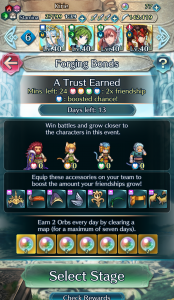 If you’d like to see even more of our newest heroes, you’re in luck; Forging Bonds: A Trust Earned also starts today! Our four Gallian Laguz have formally decided to align themselves with the Order of Heroes. Play through maps and gather Friendship to earn Accessories, First Summon Tickets, and more! Don’t forget, you’ll also earn 2 Orbs the first time you complete a map for seven days of the event. Finally, two new Orb Promos are also available starting today! 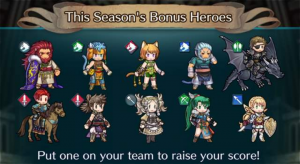 The usual monthly bonus contains 21 Orbs and 6,000 Hero Feathers. There’s also a special Spring bonus with 30 Orbs and 20,000 Hero Feathers. Each pack is limited to one per player. The Out of Gallia and banner and its associated Realm of the Dead quests will be around for some time, ending on 27 April. 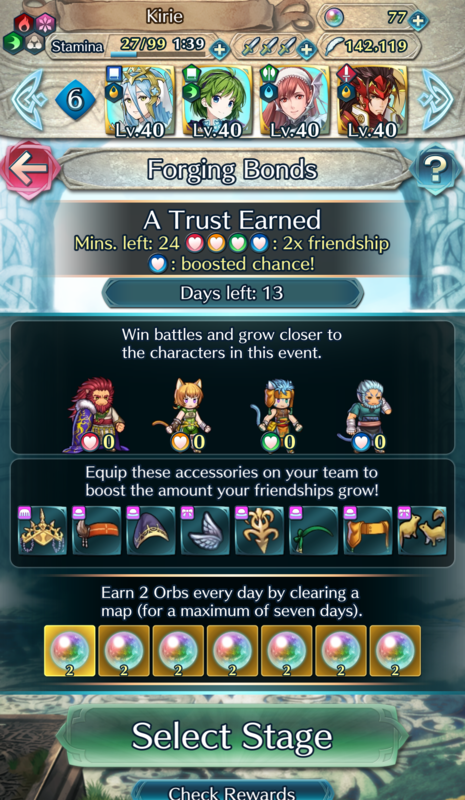 Forging Bonds will last its usual two weeks, ending on 24 April. Good luck summoning some new heroes for your teams! Heroes: Out of Gallia Preview Trailer! 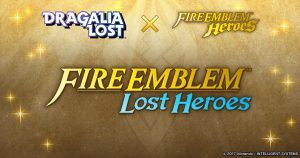 Four new Laguz heroes are coming soon to Fire Emblem Heroes! 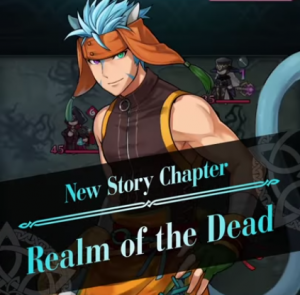 Check out the Out of Gallia Preview Trailer below for your first look at Ranulf, Lethe, Mordecai, and Caineghis. These four heroes are expanding the number and type of Beast allies available in the game. 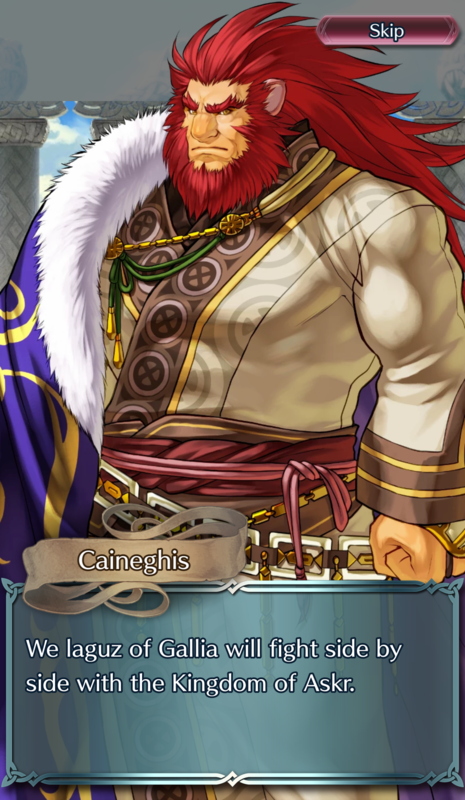 The cat laguz Ranulf and Lethe count as Cavalry units, while tiger Mordecai is Infantry and lion Caineghis is Armored. Furthermore, each unit comes with some impressive weapons and skills. Check out full skill details below. These new heroes will be arriving with a new story chapter as well! Follow along with the Order of Heroes as they head into the Realm of the Dead. Both the Out of Gallia banner and its accompanying paralogue will be available in just a couple days, starting on Wednesday, 10 April. 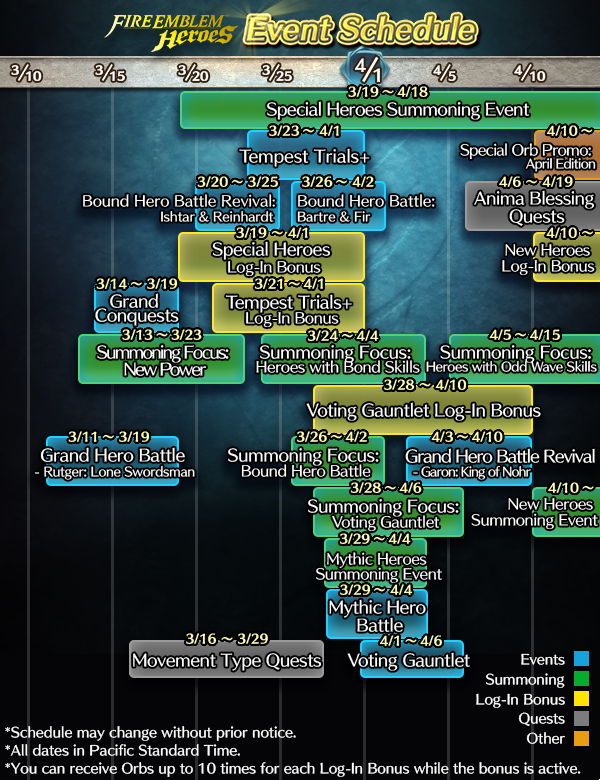 This banner (and its accompanying Log-In Bonus and Orb Promo) are the last things listed on the current Event Calendar, so we don’t quite know how long it’ll last. However, the in-game notification confirms that Haar: Black Tempest will be arriving as the next Grand Hero Battle! 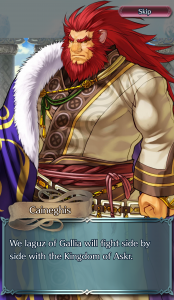 His battles will start up the day after the new banner is live, Thursday 11 April. Furthermore, today’s update formally revealed that Forging Bonds: A Trust Earned, starring our new characters, will also be starting on 10 April! Check the in-game notifications for further details.